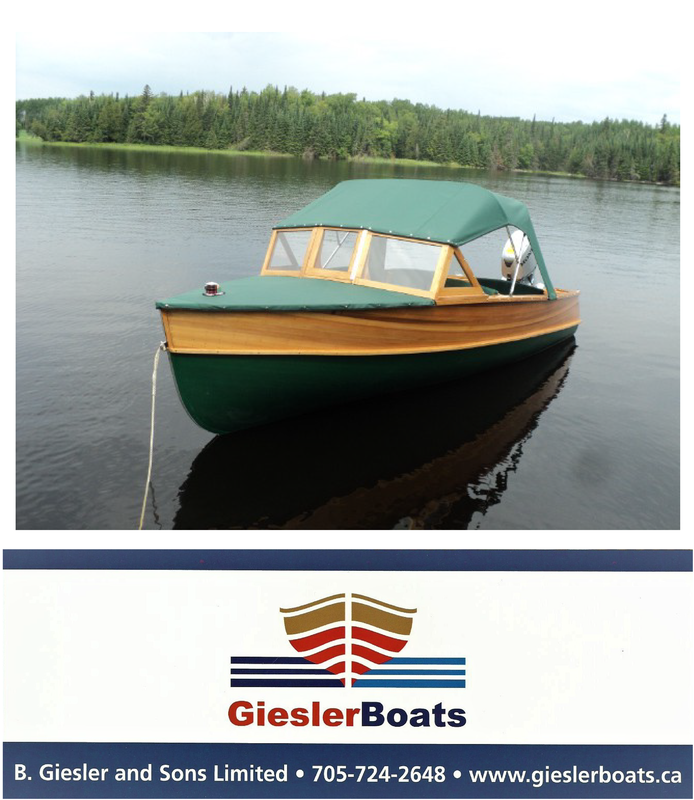 Dramatic price reduction on Disappearing Propeller Boat We have been instructed by the owner to reduce the price on this charming “Dippy” from $10,500 to $7,500 WOW! 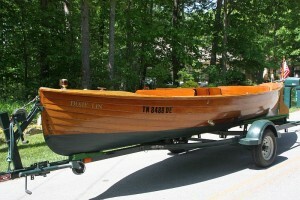 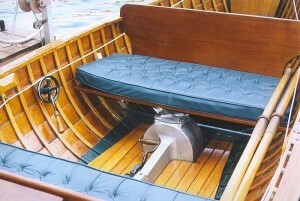 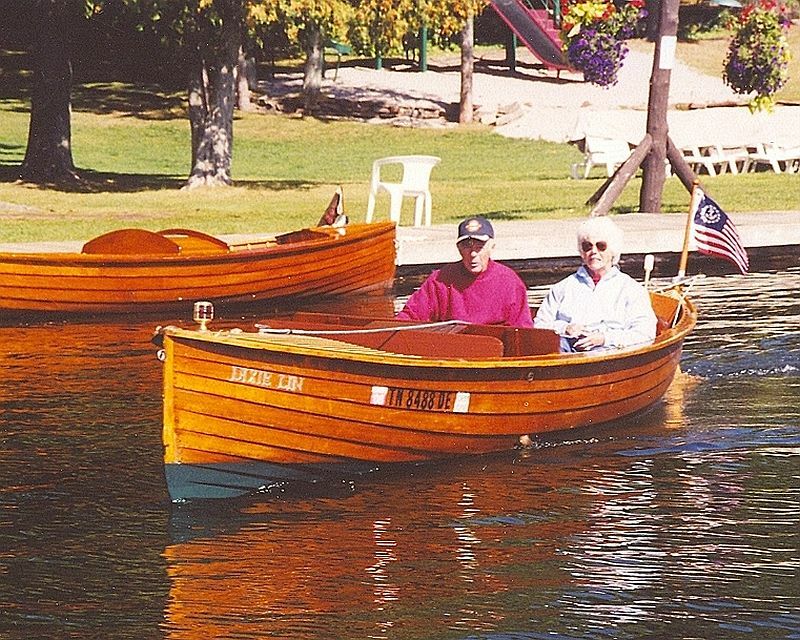 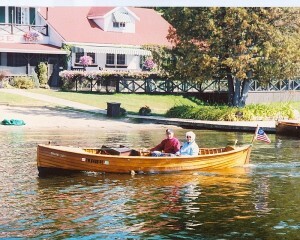 For contact information, please see ad number pb632 on the Antique/Classic Boats page, or click on the link. 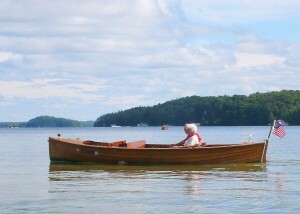 pb632 More photos and info below. 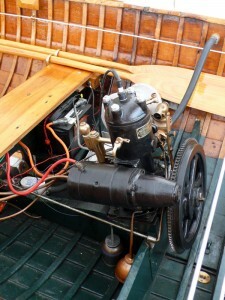 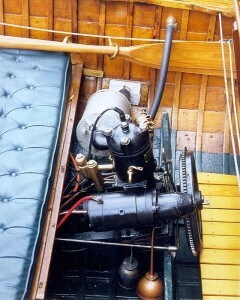 engine in the boat) available for $500. 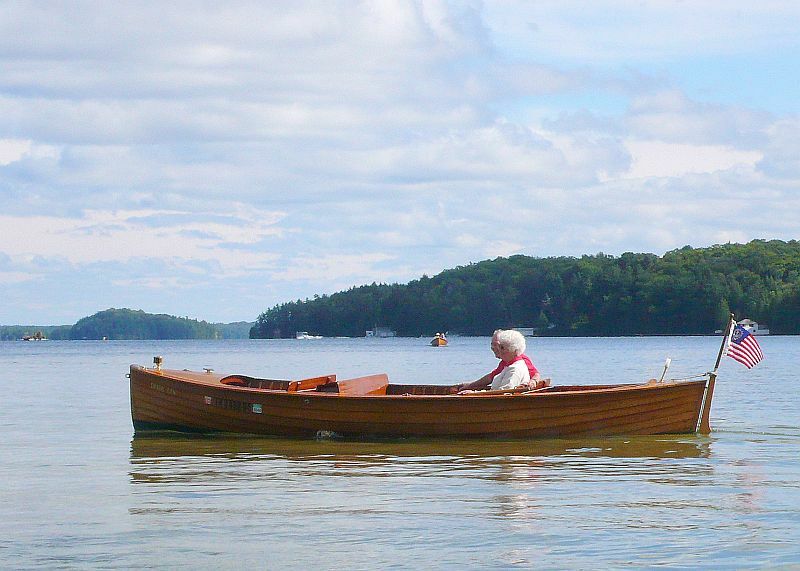 The sale includes a single axle trailer, canvas cover, spoon blade oars, electronic ignition, fitted cushions and a glass aquascope (to examine the disappearing propeller mechanism).